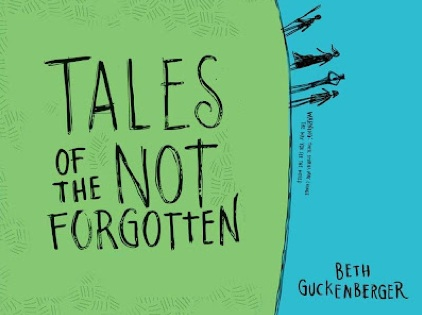 Recently, I began to read the book Tales of the Not Forgotten by Beth Guckenberger, with my oldest son, Warren. Warren is nine but is an advanced reader. He’s reading some four hundred+ fiction books that he loves; my challenge has been to try to pry him away from those long enough to read a non-fiction book with him. So, I got creative and gave him an incentive (can you say bribery?) to read Tales of the Not Forgotten with me. He is on chapter four and I’m on chapter three, and we’ve already had some interesting conversations about spiritual and physical poverty. The cool thing about this book is that it’s written on around a fifth grade level (which is why he’s one chapter ahead of his dad!) so just about anyone can jump in. I think this book is important because it’s written to challenge and inspire kids to consider the world around them. This resource is helping Warren reinforce his perspective on the world around him through the eyes of Jesus…to consider that not every child can walk into his kitchen and fill up a class of cold, crystal clear, refreshing, water anytime he wants…to consider that many kids have to scour junk yard and trash cans in back ally’s to find food…to consider that much of the world has little to no access to the good news of Jesus Christ. That he and I will grow closer to God through this experience and reflect God’s heart for the nations. That the relationship pipeline between he and I will be open, clear, and vibrant. That this would be one small step among many of Warren allowing God to mold his heart to be filled with compassion towards those who live in spiritual and physical poverty. What’s one thing you have done to cultivate compassion in the heart of your child? What suggestions do you have for “doing book” with your kids? For more on “doing book,” check out my friend Fred Stoeker’s book Preparing Your Son for Every Man’s Battle.